Doringer Cold Saws is now partnering with TigerStop. We integrate the Doringer Model D-350 SA semi-automatic circular cold saw with one of TigerStop’s feeder system to make a fully automatic cold saw. The operator programs in number of pieces and cut length. The machine feeds the material, pneumatically clamps the material, the sawhead feeds with a fully adjustable air over hydraulic power downfeed system. When cut is finish sawhead retracts pneumatically, vises retract, and material is fed to desired length. TigerStop systems are available in a variety of lengths up to 20 feed and 850 lb. capacity. Also available in automatic stop positioning. See the Doringer Cold Saws at work. 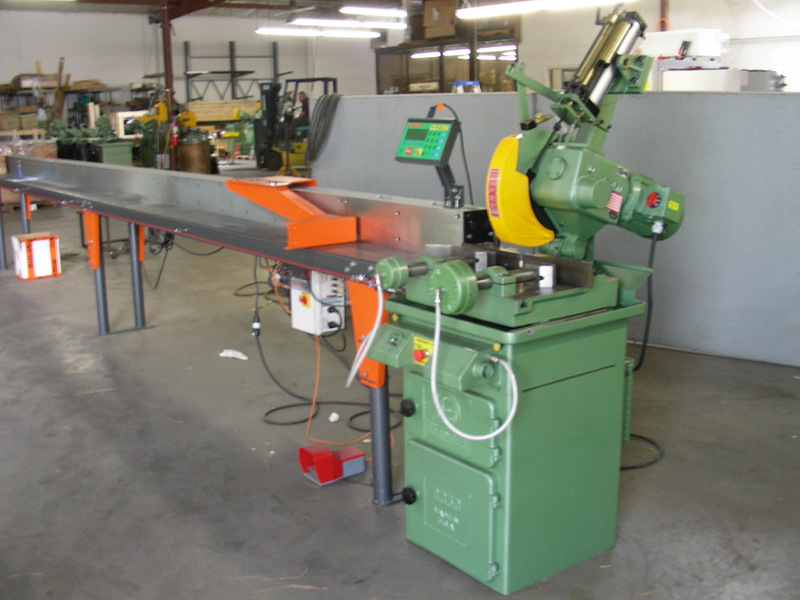 Get more information on the best sawing method for cutting steel, stainless steel, and aluminum. Would you like to come see us at some of the leading industry events? Click below to view a partial list of some Trade Shows and Events we will be participating in. And don't forget to contact us any time for free admittance tickets to any trade show listed.